Koreans have been known to have such beautiful, radiant and flawless skin. If you’re a fan of K-dramas and K-pop, you know what I mean. But aside from the genes that they are naturally born with, Korean Beauty Standards are very important in Korean culture. Koreans are taught to take care of their skin right from childhood as they consider it an investment. The country also has the highest rate of cosmetic surgeries and a home to all sorts of skin-preserving methods, products and techniques. In a quest to mimic the clear, smooth and even-toned complexion that Koreans have (fingers-crossed), I did my research and discovered 7 skin care tips that we can easily follow. 1. Eat food that will benefit your skin. Korean beauties believe the rule, “you are what you eat.” That’s why Korean Cuisine is said to be one of the healthiest cuisines in the world. Most Korean dishes are stewed, grilled or boiled and have a variety of veggies in them. One famous side dish is Kimchi, a fermented cabbage that is rich in Vitamin C and Beta-Carotene that is very good for your skin’s health. They also have Makgeolli, fermented rice wine that is a common ingredient in most Korean dishes – it’s loaded with amino acids and Vitamin B that helps brighten the skin and preserve its elasticity. Barley Tea is rich in antioxidants that prevent the formation of peroxynitrite, an oxidant that damages the skin tissue and DNA that lead to wrinkles. Koreans usually drink Barley Tea with every meal since it doesn’t just do wonders for the skin but for the digestive system as well. Koreans follow the double cleansing method where the first part is to use an oil-based cleanser followed by a water-based kind. This will ensure that all makeup traces, bacteria, sebum and other impurities area removed from your skin. This is a unique and the essential step in a Korean Skincare Regimen. I’m sure you already know about exfoliators, toners and moisturizers but an essence is applied after your toner and before putting on your serum. It’s a skin nutrient filled solution that specifically targets wrinkles, fine lines and uneven skin tone. 5. Tap and don’t rub. If you’re guilty of rubbing your face with your skincare products, well you’re doing more harm to your skin than good. Koreans are all about tapping motions when applying anything on their faces. So remember, just TAP, TAP, TAP. You’ve seen those cute masks all over the internet – pandas, dogs, bears… etc. But the main purpose of a mask is to force your skin to absorb nutrients and moisture better. Use a sheet mask twice a week or more if you have a really dry skin. Pro tip, use a sheet mask before a big event, a pictorial or a date. You’ll see immediate effects! Your face will be brighter, plumper and suppler! Lastly, you have to keep in mind that consistency is the key to achieving a healthy skin. Koreans take their skin care routine seriously. So if you want to achieve your #SkinCareGoals, you need to give time for your beauty regime, day and night, and follow it religiously. 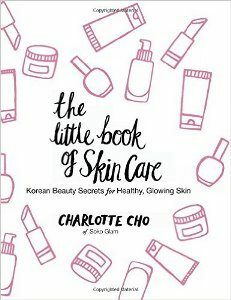 If you want to know more about the secrets behind Korean Beauty, here’s a good book that you can read – The Little Book of Skincare: Korean Beauty Secrets for Healthy, Glowing Skin by Charlotte Cho.